The Finnish mobile manufacturer, Nokia has unveiled a new flagship smartphone running Windows Phone 8.1 and named it as the Lumia 930. This smartphone has physical dimensions of 137 x 71 x 9.8mm and weighs at 167 grams. Globally, the handset is expected to roll out in June starting with Europe, Asia, Middle East and India. Added to this, the company also announced that the new Windows Phone 8.1 update will be available for the entire Lumia Windows Phone 8 portfolio as an over-the-air (OTA) this summer. The Nokia Lumia 930 price in India is not yet officially confirmed, but it is expected to be available roughly at Rs. 35,800 from beginning of June. This Lumia handset will have a 5-inch AMOLED capacitive touchscreen supporting a 1080 x 1920 pixel resolution and a pixel density of 441ppi. The display features a Gorilla Glass 3 screen added with Super Sensitive Touch feature and a near 180-degree viewing angle. This phone is featuring an aluminium frame with metallic accents. It will be available in a curved polycarbonate back with Bright Orange, Bright Green, Black and White colours. The smartphone is powered by a 2420mAh battery and boasts of built-in wireless charging option. Nokia Lumia 930 is equipped with a 20-megapixel PureView camera and has optical image stabilization (OIS) and Carl Zeiss optics. Additionally, there is a front-facing 1.2-megapixel wide-angle camera supporting 720 pixels video calling ability. The other camera features inlcude 1/2.5 inch' sensor size, 1.12 µm pixel size, PureView technology, dual capture, geo-tagging, face detection and panorama. It is capable of capturing 1080p videos at 30 fps. The handset is powered by a 2.2GHz quad-core Qualcomm Snapdragon 800 SoC coupled with 2GB of RAM. There is a 32GB of built-in storage added with 7GB free OneDrive cloud storage. The gadget has four directional microphones and integrated Dolby Surround Sound. The phone is featured with LTE quad-band chip and Bluetooth 4.0 LE support as well. It comes with OneDrive, MS Office, Nokia Camera, MixRadio and HERE Maps. It also has various imaging applications such as Nokia Camera, Nokia Storyteller, Nokia Creative Studio and Nokia Refocus. The sensors in this phone include Accelerometer, gyro, proximity and compass. The phone will come with updated imaging software along with some other software improvements. The connectivity features of the smartphone includes Wi-Fi a/b/g/n/ac, NFC, and USB 2.0. The phone has FM radio and it will work with a nano-SIM card. During seventies, the fuel-efficient cars produced by Nissan had become a car of choice for many car lovers who used to commute each day and were fed up with gas guzzlers which were unreliable. And after 30 years, the company has decided to kill off their brand, then Datsun Go was reborn. Its new model which has been unveiled in the Indian markets and it aims to target mainly the first time buyers who dream to own car. 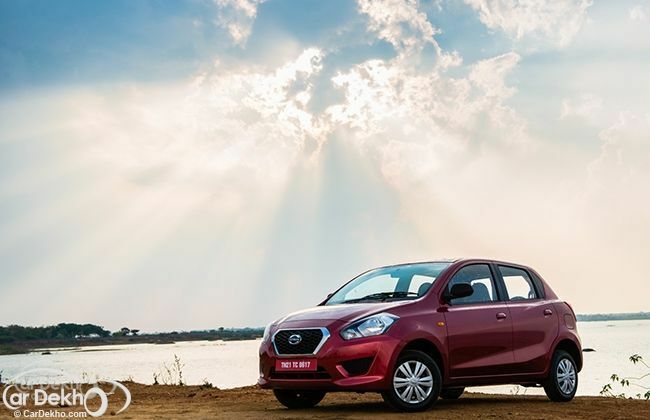 The Datsun go price falls between the range of Rs. 3.12 lakh and Rs 3.70 lakh (ex-showroom, Delhi). Thus, intensifying stiff competition in the small car segment. The DAT Stand for Dream, Access and Trust. The company websites states that their brand is of the risers. It also boasts that young risers in the high growth markets will be ahead of the curve. In the year 1914, the company launched its Dat-car. The name, Datsun is derived from its first initials of its three inventors of the company, and it literally meant lightening fast. After selling more than 20 millions cars in 190 countries around the globe, the brand was phased out during 1981, and Nissan became the primary name for the company worldwide. Those who drove Datsun recently, found the car good in terms of space as well as comfort. It is built on Nissan Micra platform, the Go would be the most spacious car of its league. It has a 1.2 litre, 3 cylinder petrol engine which produces a maximum power of 68bhp and a peak torque of 110Nm. The similar engine also powers its elder sibling, Micra but for better efficiency, it has been De-turned for Go. This small hatchback is expected to deliver a mileage of 20kmpl. Datsun started its production last month at the manufacturer's Oragadam facility in Tamil Nadu. The vehicle has good cabin space, and performance is more than enough for the urban areas. The vehicle has 170mm of ground clearance and has 13 inch steel rims. From the safety point of view, it has optional ABS or airbags. It is definitely, one of the most awaited hatchbacks. 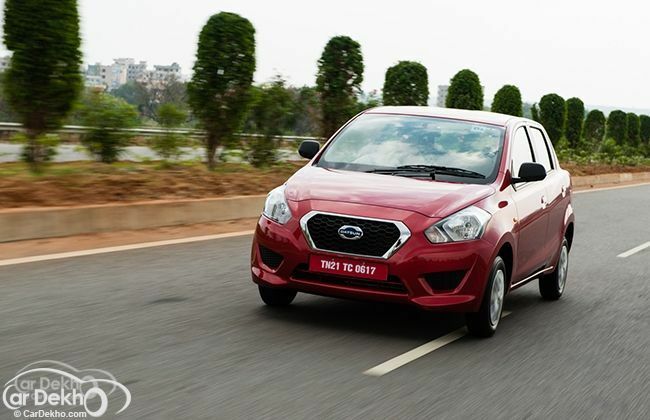 On March 19 in New Delhi, the company has launched, Datsun Go. The Indian launch will help in marking the brand's return after decades. HTC Desire 310 is an entry-level smartphone combines super-fast processing and premium features. This smartphone is a mid-range offering from the Taiwanese manufacturer and is the first phone to be powered by a MediaTek quad-core processor. After various leaks about this smartphone, it has made official on the company’s China website. Source reveals that this is the successor of the company’s Desire 300. The company has not confirmed the HTC Desire 310 Price and availability but it is expected that it will be launched on April 10. Coming to the features, this handset comes with HTC Blinkfeed and Zoe. The phone comes with dual-SIM connectivity. According to the official source report, the handset has a 4.5 inch display that is supported with a 480 x 854 resolution touchscreen. It also features sensors like Accelerometer, proximity and more. In terms of software, the Desire 310 runs on Google's Android 4.2.2 Jelly Bean mobile operating system and powered by a quad-core 1.3GHz Mediatek processor. The processor will allow the user to toggle between several apps, load web pages in a flash and enjoy high-quality gaming with smooth graphic. This system is coupled with 1GB RAM and Mediatek MT6582M chipset. The device will be powered by a 2000 mAh battery offering around 11 hours of 3G talk time and 852 hours of standby time. It is packed with Google mobile services like Google Search, Maps, Gmail, YouTube, Calendar and Google Talk. HTC Desire 310 features a 5 megapixel rear camera with fixed focus. This rear camera is also capable of offering full 1080p HD video recording. It also has maximum resolution support up to 2592 x 1944 pixels added with Geo-tagging and face detection features. The phone is loaded with a VGA front-facing camera as well. The phone has 4GB of internal memory and also has support for microSD cards up to 32GB. Coming to connectivity features, the device has Bluetooth 4.0 LE, GPS, and Wi-Fi. It also has A-GPS support and GLONASS for navigation. This smartphone is featuring with the Offline Reading mode to view articles from personal feed. Rumours reveals that the phone will be available in a number of colours including black, white and orange. The phone may not has 4G support, but it does boast HSDPA and HSUPA connectivity. There are riders who always look for a bike, which has to look futuristic and yet be easy to ride, and the credit goes to the Indian wing of the Japanese two-wheeler maker, Suzuki Motorcycle India Limited to bring these two key features together by unveiling their naked sports bike – Suzuki Gixxer. This bike targets the young blood of the nation and will be sold along side the GS150R, Suzuki's other 150cc two-wheeler. It is expected to go on sale in July. The new Gixxer boasts an SOHC, mono-cylinder engine with a displacement of around 149cc. Using SEP (Suzuki Eco Performance) technology, this air-cooled, 4 stroke engine, which is fed via a carburetor, gets better fuel-efficiency without compromising on performance and power due to this new technology as the company claims. The exact power and torque figures are not revealed yet, however, it is speculated that this bike will have its upper-leg in this sector than many of its peers like GS150R and Trigger. A 6 speed manual transmission is going to serve the engine of the bike and its clutch will be multi-plate. This naked bike gets comfortable on various terrains with the help of telescopic forks at the front and mono-shock absorbers at its rear. The safety of the rider and the pillion will depend on its powerful disc brake at the front and drum at the rear help to get an emergency stop. The fuel-guage, techo-meter, trip-meter and speedometer make the instrument console fully digital and keep the rider updated with every minor detail. There is a bright tail-light, rear grab rail, with wide tubeless tyres. It has 17 inch cast alloy wheels with the wheel size of 100/80/17 mm and 140/60/17 mm. The battery of this two-wheeler is maintenance free, and there is a low battery indicator provided to keep the riders informed. In terms of design, it has got edgy naked styling. It features a cool and funky cowl and a halogen headlamp is fixed inside it. The front mud-guard is not very lengthy, nevertheless, it covers well the front tyre and looks sporty. The fuel-tank too of the bike is sporty enough and quite resembles its sibling GSX's tank. The length, height and width figures of the bike are not revealed yet, though, the pictures express its well-crafted dimensions. Suzuki has kept the bike light-weight to make it more aerodynamic and easy to handle, and that is why they have used quality plastic to cover it and to give it a distinct design. It is going to be available in the shades like Blue, Black, White, Silver and Red. On the whole, the other competitors of this sports bike are Hero Hunk, Honda CB Trigger and Bajaj pulsar 150, and TVS Apache in the same segment, however, it might win the race as it gets fresh looks and better power and performance than others as expected. A number of features will be unveiled soon, and this will show a clear picture whether Gixxer gets such exposure that will allow it to go a mile away than the current 150cc bikes available in India. 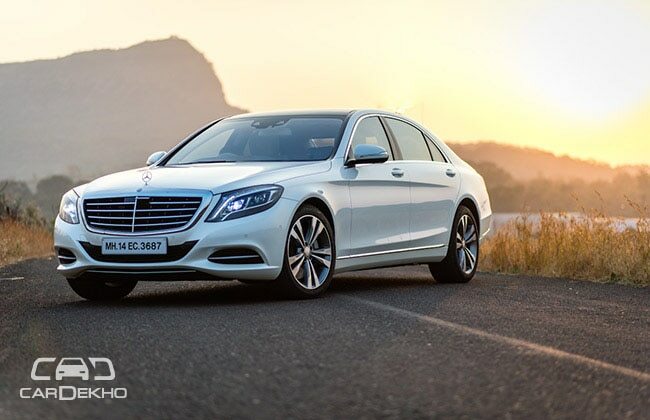 Mercedes Benz S Class is considered to be an epitome of luxury and lavishness. These vehicles ever since the first generation debuted are always a century ahead in terms of technology and features the cars are equipped with. The S Class is always a status symbol for the white collar job holders, which they can flaunt on their business road trips with state of the art mobile office at the back. The vehicle is one of the safest automobile you can travel around. This vehicle displays and incorporates the best and the latest technological innovation in the motoring field by the German Automaker. Mercedes Benz cars launched the latest generation S Class into the Indian market with a price tag of Rs. 1.57 Crore (Ex-Showroom, New Delhi). The vehicle redefines the levels of opulence and rivals to BMW seven series and Audi A8. The car is launched with a new motor, the 4663cc twin turbo V8 gushes out 459Hp of maximum power and a tarmac shattering torque of 700Nm in between 1800-3500rpm. The car is mated to a seven speed automatic transmission christened as 7G-tronic. The S Class is as much about a luxury limousine as it is of performance sedan. The car does naught to 100kmph in 4.8 seconds, and the top speed is electronically limited to 250kmph. Considering the calibre of the vehicle, it has one of the lowest drag coefficient of 0.24. The features and comfort the vehicle boosts a never ending list to name a few like, state of the art ambient lighting system with seven unique colours depending on the mood and a full digital instrumentation cluster with two TFT screens. The HVAC includes Thermotronic four zone climate control system as called by the manufacturer. Electronically adjustable seats with memory function for the front seats including head restraint electronically controlled. Wood and leather wrapped multifunction steering wheel with paddle shifters. The Panoramic sunroof, sun blind and foldable table to pamper the rear passenger. The infotainment system which has latest MB’s Command online system includes six DVD changer, navigation, Bluetooth connectivity, USB, Aux-in, in built HDD and Wi-Fi hotspot. The exuberant Burmester 3D surround sound system with powerful 24 speakers and 24 channel amplifier produces heart pumping output of 1540 watts. In term of safety and convenience, we get adaptive braking system with hill hold assist. The vehicle boosts Electronic Stability Program (ESP) which also include Anti-lock Braking System (ABS) and Acceleration Skid Control (ASR). There are Airbags for the driver, co-passenger including side and windows. Mercedes Benz Pre-Safe technology coupled with Attention Assists which monitors the driver’s driving condition continuously. Parking aid is provided through Parktronic system. It has all LED lighting package front and rear tail lamp, daytime running LED with intelligence lighting. Almost all the automakers are waiting to showcase their future products and concept at the 2014 Indian Auto Expo. According to reports, India's leading automaker, Tata cars is also planning to unveil the Automatic version of its flagship crossover Aria at the upcoming Auto Expo. The Aria is an amazing product from Tata Motors in terms of features, engineering and quality. But the vehicle has not managed to rack up the sales because of its high price tag. Now, the company is coming back with a facelifted version of Tata Aria with some cosmetic changes. The company has already showcased the facelifted Aria with an automatic transmission at the Geneva Motor Show. 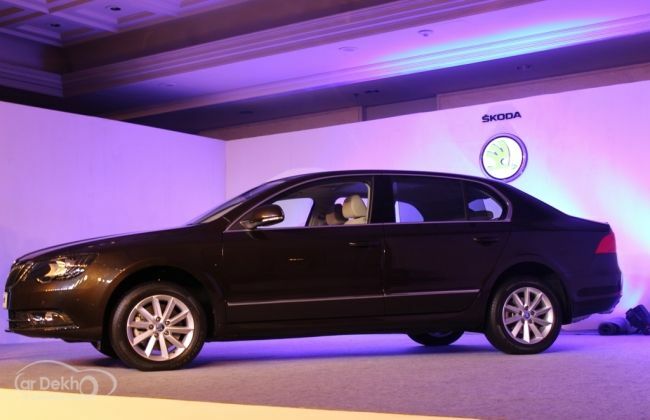 It is also expected that the updated model will be showcased at the 2014 Auto Expo. The facelifted vehicle is sourced from General Motors and the company has made considerable improvements from the Geneva car to the current model. The six-speed automatic transmission is coupled to the same engine which is the 2.2 liter DICOR engine. The current diesel engine churns out a maximum power of 138bhp and a peak torque of 320Nm. But the company has tuned the diesel engine to produce a maximum power output of 153bhp and 400NM of torque. Apart from the six speed automatic gearbox, the vehicle is also expected to have a few cosmetic changes and additional features. The crossover will now sport a restyled set of projector headlamps and refreshed tail lamps. The vehicle might stand tall on a new set of alloy wheels. The company has also made alterations to the seating arrangements by replacing the bench seats by individual captain seats. The overall quality of materials used in the upholstery and interiors is expected to be much better than the current variant. With these additional aspects and changes, the car looks much more appealing and stylish than the current model. The crossover comes with all the standard safety and comfort features without giving up luxury. The list of aspects includes an Anti-lock Braking system, brake assist, airbags, power door locks, air-conditioner with heater, adjustable steering wheels, tachometer, rear seat belts, keyless entry, engine immobilizer and door ajar warning. 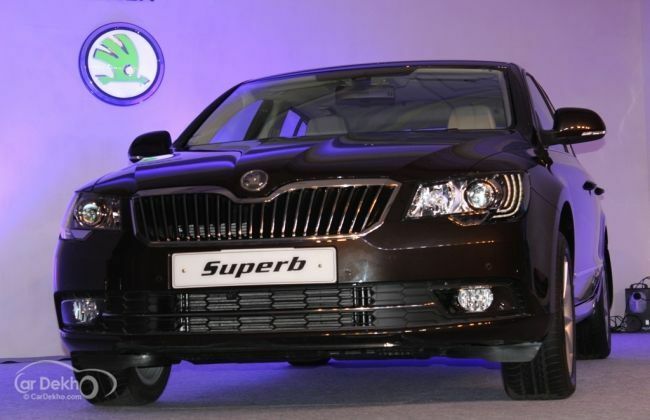 The facelifted model should be placed on the top of the variant line because of its price and features. The launch of the Automatic Tata Aria facelift is expected to take place in April after the Auto Expo. The company also has plans to unveil the Tata Nano diesel, a compact sedan and a new hatchback at the upcoming Auto Expo.